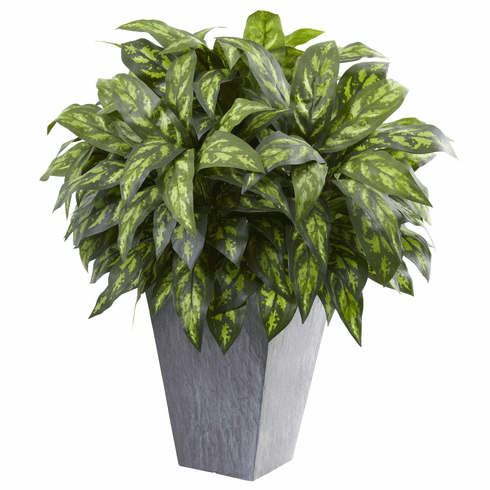 Truly majestic among plant selections, this Silver King is a wonderful decorative choice for any table setting. Rich and colorful multi-tiered leaves highlight the greenery found in this selection creating an inviting gift opportunity for friends at home or work. Complimented by a bold Slate Planter pot, this is truly a piece of royalty that will be appreciated for years to come. Height: 37 In. Width: 32 In. Depth: 35 In. Color: Pot Size: H: 16 In. W: 11.75 In. D: 11.75 In.